Good morning, dear readers, and happy Saturday! 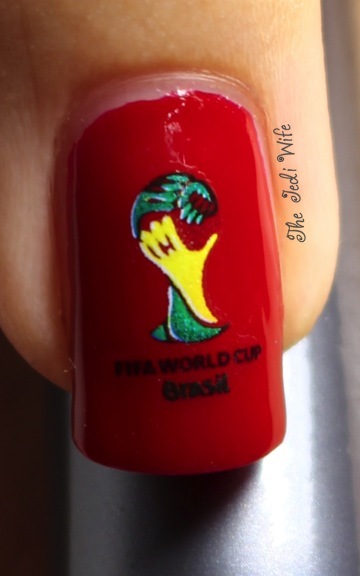 I have more water decals from Born Pretty Store to share with you, and these ones are for the upcoming World Cup! I know it hasn't started yet, but I wanted to share these with you early in the event you want to order some for yourself to support your team. Before I show you the pictures, I should tell you I had a total brain lapse and did not apply the decals in the orientation I wanted for how I normally photograph my nails. I know, bad Jen! To make matters worse, I even thought very carefully about how I needed to do each nail as I was painting the base colour, but the hours between the planning and getting to apply them made me lose my focus. 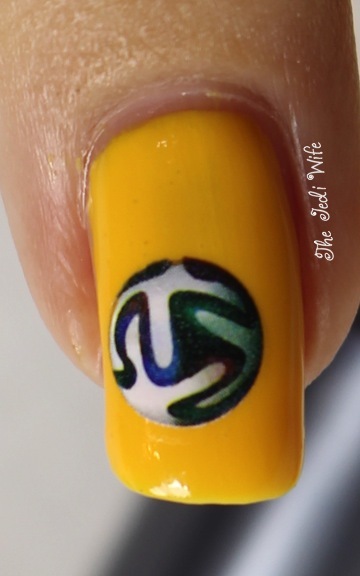 I promise I'll have it done properly for the World Cup! Now to some photos! How cute is this?!? My set had a couple different colours, and I just love it! I intentionally put this slightly off center to accommodate the little bit of angle I photograph my nails altogether. Or course now it looks weird straight-on, lol! 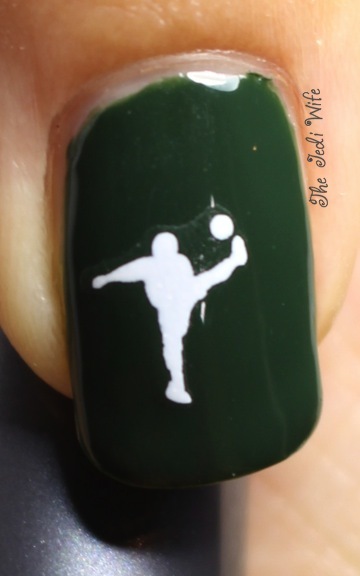 This set of water decals is really cute, and definitely a must-have for the football/soccer fans to show team spirit! They applied very easily: after soaking in water, the decals slide off easily and can be placed on the nail using tweezers. 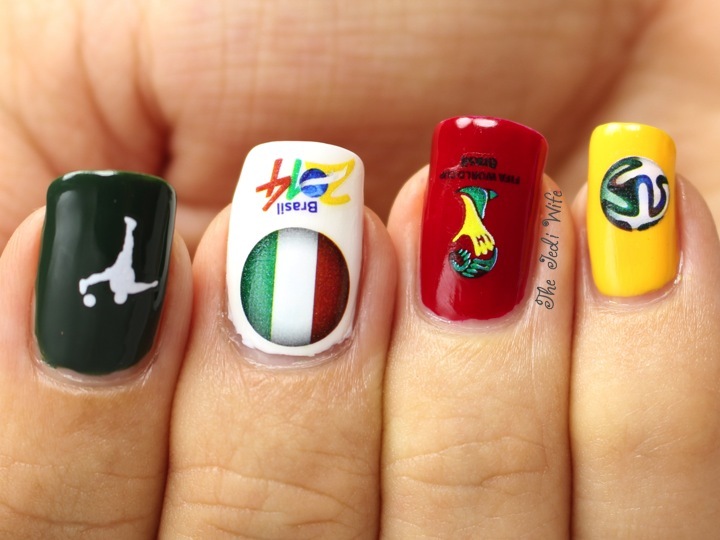 You can buy your World Cup decals here; they have several options to choose from. While you art there, check out Born Pretty Store for all your nail art needs. 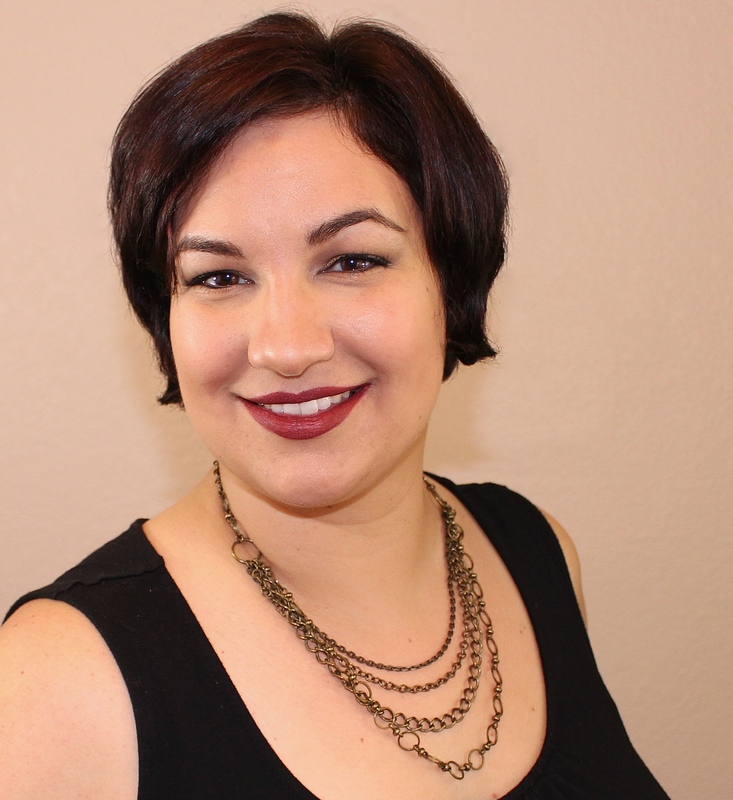 You can also save 10% on your purchase by using discount code QWL91. 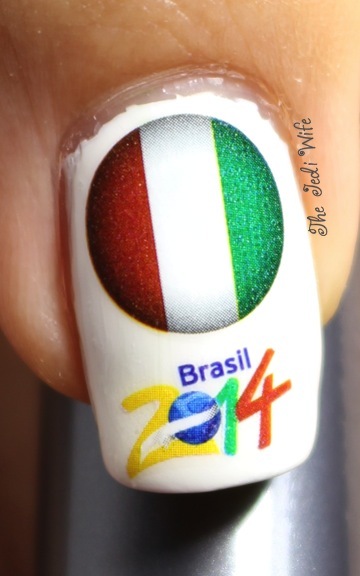 Now to re-plan my World Cup nails! Until next time, dear readers, have a wonderful day and weekend!